Ideal Greens is one of the popular residential projects that is located in Tollygunge, Kolkata South. The project offers well-designed 2-4 BHK apartments which are conceptualized to facilitate the needs of potential homebuyers. Tollygunge, a suburb of Kolkata is located in the southern quadrant of the city. The locality is a well-structured residential destination of this zone and has been witnessing enormous amount of construction activities. This development in the locality is due to many factors including superlative connectivity, ferrous infrastructure, proximity to business enclaves and workstations and availability of premium housing units. Therefore, buoyed with positive notions, the locality has become a preferable destination to reside in. Kolkata, a city of joy is considered to be one of the most affordable cities to reside in. The city has a good spread of both commercial and residential properties and this has positively impacted its real estate sector. Apart from affordable living conditions, the city has incredible opportunities to offer to its residents. With factors like enhanced connectivity, good social infrastructure, improved economic conditions, the city has gained the attention of both house-seekers and developers. In the July-Present 2015, the average property values of Tollygunge have gone down to Rs. 5250 per square foot from Rs. 5800 per square foot in April-June 2015. Whereas, an average property rate of the January-March 2015 stood at Rs. 5200 per square foot. Floor Plan ?  1075 - 2160 Sq.Ft. Where is Ideal Greens located? Tollygunge, a prime residential locality for house seekers in Kolkata South. What are sizes of apartments in Ideal Greens? The apartment sizes in the project range from 1075.0 sqft to 2160.0 sqft. What is the area of 2 bhk in Ideal Greens? The size of a 2BHK unit in the project ranges from 1075.0 sqft to 1355.0 sqft. What is total area of 3 bhk in Ideal Greens? 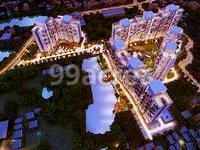 3 BHK units in the project are available in a size of 1385.0 sqft to 2050.0 sqft. How much is area of 4bhk in Ideal Greens? The area of 4BHK units in the project varies from 2050.0 sqft to 2160.0 sqft. What is total size of Ideal Greens?The project is built over an area of 11.6 Acres. I have heard a lot about this project- Ideal Greens at Tollygunge, Kolkata, mostly because of its location and locality. This new launch is offering a variety of floor plans to choose from. I am interested in investing in this project. I want to buy a 2bhk here. They have bank approvals in place so builder seems reliable. Rate being offered is 4250 psf. Can someone tell me what is so special about the location? Please advice me whether I should go for this or not. This seems a fantastic location with easy reach to any direction. Looking forward!